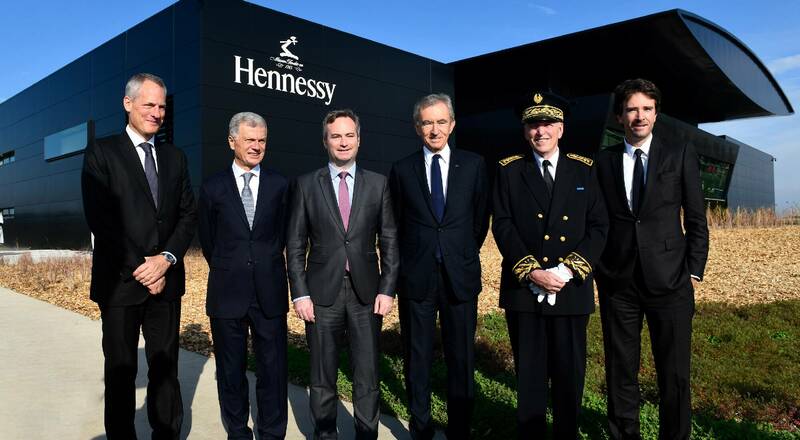 Following two years of work, Hennessy inaugurated its new Pont Neuf cognac bottling and logistics site on October 18 during a ceremony attended by Bernard Arnault. Built to state-of-the-art green building standards, Pont Neuf is a concentrate of technology serving artisanal tradition, enabling the cognac maker to achieve its objective of eight million cases sold and shipped annually. The site also provides employees, who played an active role in the design, with an exemplary working environment. 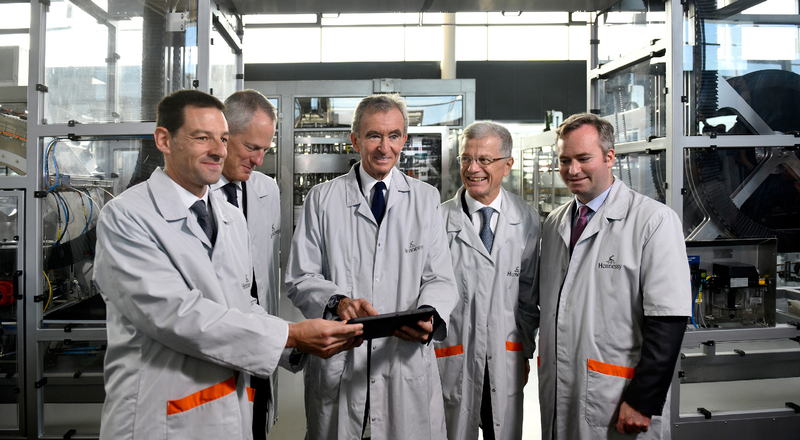 Conceived in 2015, the year that marked the 250th anniversary of the Maison, the Pont Neuf facility was unveiled today by Bernard Arnault, Chairman and Chief Executive Officer of LVMH, who was joined in Cognac by Philippe Schaus, Chief Executive Officer of Moët Hennessy, Bernard Peillon, President of Hennessy, and Jean-Baptiste Lemoyne, Minister of State, attached to the Minister for Europe and Foreign Affairs. A concentrate of environmental performance, innovation and cutting-edge technology, Pont Neuf is a strategic investment at the service of artisanal tradition. 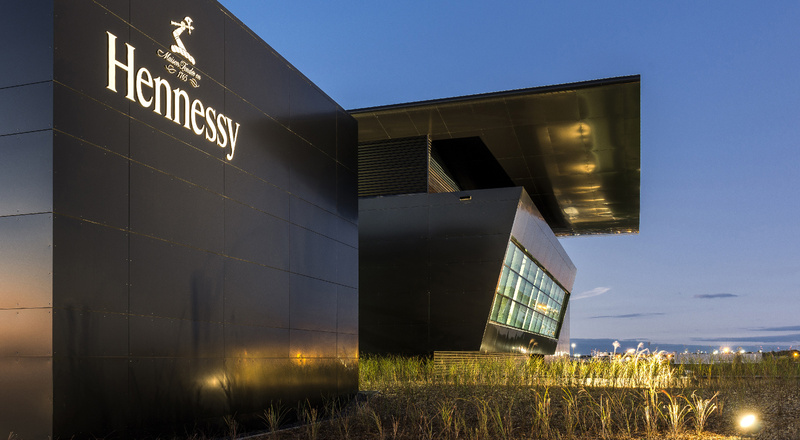 The new facility’s two-fold objective is to boost production capacity to accompany Hennessy’s growth – in conjunction with the Vignerie site just a few kilometers away – and to secure production and logistics flows. It will allow Hennessy to increase output to some eight million cases sold and shipped annually by 2018. With a presence in 130 countries, Hennessy exports more than 99% of its production and holds a unique position in the global wines and spirits industry, a stature that will be further reinforced by the new Pont Neuf facility. Reaffirming its roots in Cognac, where the company was founded and where its entire production continues to be made, the Maison is pursuing its commitment to “Crafting the future”, blending artisanal tradition and innovation. Designed by the Sandrolini architecture firm, Pont Neuf is an exemplary model of green building. 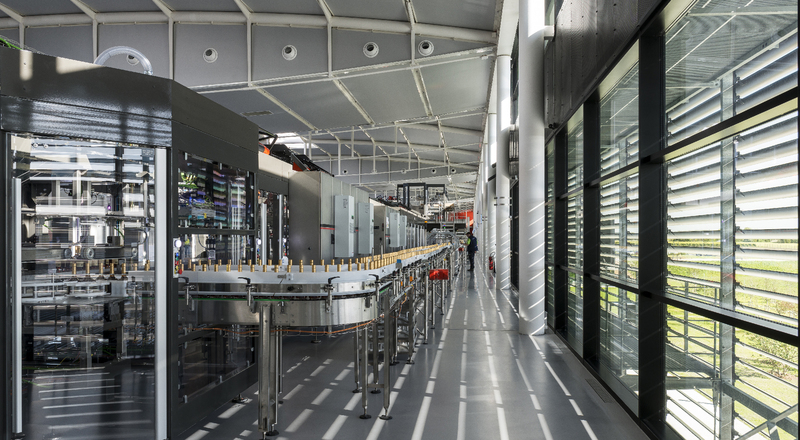 The 26,000-square-meter facility introduces a new organization for teams, state-of-the-art equipment, highly sophisticated traceability systems and high-speed bottling lines. Each step in the bottling process is regularly tested before the cognacs are approved by the Hennessy Master Blender and Tasting Committee, the guardians of the Maison’s quality and savoir-faire. The 30-hectare (74 acres) worksite met all the stringent requirements set by Certivea, earning it HQE high environmental quality certification. The facility is seamlessly integrated in the landscape and provides a superb, innovative working environment for staff thanks to the choice of materials, acoustic insulation, air quality, natural daylight, ergonomics and building safety.